For all of winter’s fabulous seasonal highs (I’m talking hot cocoa by the fire, trips to the ice rink, Black Friday shopping, etc. ), there are a few less than pleasant side-effects to note, including the onslaught of dry, itchy skin. Winter weather is not fun for skin. Cold weather and low humidity levels result in dry air, which then leads to a distinctive lack of moisture for the body – can you feel yourself reaching for a “phantom” itch already? Without care, dry skin can lead to cracking, chapping, and bleeding. Plus, if you’re traveling for the holidays, harsh winter wind will make the problem worse. So, why not just escape indoors, you might be wondering. Unfortunately, indoor heat further robs the air of moisture, as do hot showers or baths and harsh cleansers. It’s the Catch (a cold) 22! 1. Prepare your Home (and Office): A good rule of thumb – the drier the air, the drier the skin. To maximize the amount of water in the air, place a humidifier in the room where you spend the most time, which, in many cases, is the bedroom. I would also suggest you do the same in the location where you work, be it a home office or cubicle. 2. Moisturize More: Lotioning-up might not be the only fix for dry skin, but it will definitely help! Find an "ointment" moisturizer that's oil-based, rather than water-based, as the oil will create a protective layer on the skin that retains more moisture. FYI: Many "night creams" are oil-based. 3. Hydrate: We tend to drink less water in the winter because hello, we turn to hot drinks like cocoa and tea. However, don’t forget that your skin needs hydration from the inside, out. A little warm water with lemon before bed can be very refreshing and hydrating at the same time. It’s always best to start and end the day with liquids. 4. Exfoliate: It might sound weird to scrub your already dry skin, but don’t forget… We need to help the skin slough off dead cells in the winter, particularly on our hands. Moisture can’t get in if there are too many dead skin cells! An exfoliating mask every other day will help, along with an exfoliating scrub in the shower. Just be sure to moisturize after! 5. Eat to hydrate: Water is good and it comes in many forms. 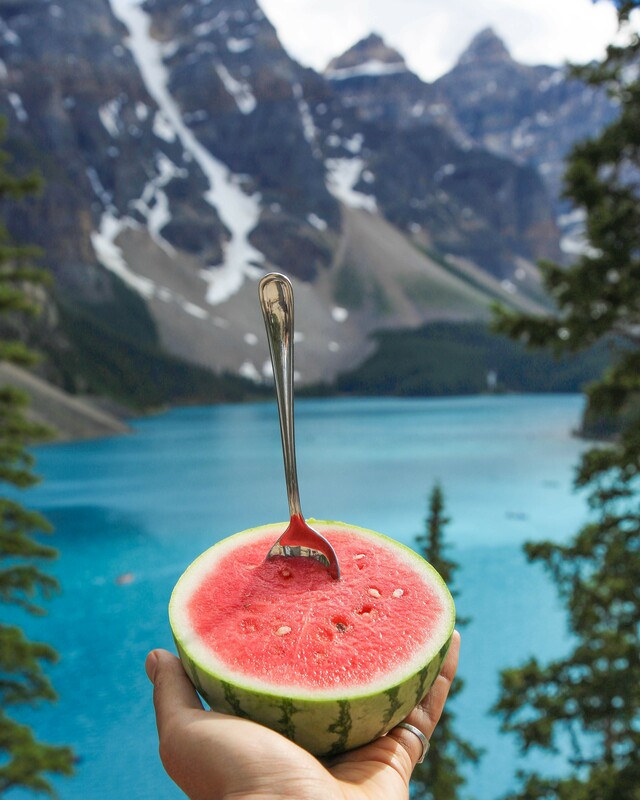 Eating foods high in water content such as watermelon, oranges, tomatoes, cucumbers, and zucchini can help hydrate your skin from the inside out. You want to make sure you’re getting enough Vitamin C and zinc! 6. Switch your cleanser: Maybe you found that perfect face cleanser for summer – I completely understand. However, seasons change and so should your cleansing products. Toss any face washes with drying ingredients, like fragrances or additives, in favor of those with formulated chamomile or my favorite, oatmeal. 7. Apply sunscreen: This should be a no-brainer, but people forget that sunscreen isn’t just for the beach! “Winter” sun can still damage your skin. Try applying a broad-spectrum sunscreen to your face and your hands (if they're exposed) about thirty minutes before going outside. Reapply frequently if you stay outside a long time.